Personalize a go-to gift with a fun presentation and a goofy message. 1. 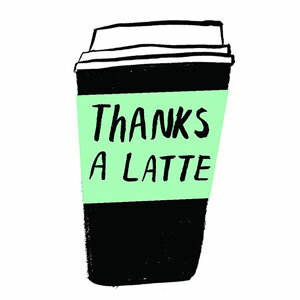 For a coffee shop card: “Thanks a latte!” or “You’re tea-rrific!” written on a cup sleeve. 2. For a bookstore card: “So glad you’re in this chapter of our lives!” given with a handmade bookmark. 3. For an office-supply store card: “Supplies! You’re the best” on a mini decorated clipboard. 4. For a pedicure or manicure card: “For your mistle-toes” wrapped with a bottle of nail polish, or “You’re the best teacher, hands-down” with your child’s traced-hand card (be sure to paint the fingernails). The right gizmo can make repetitive tasks fun and creative tasks failure-proof.